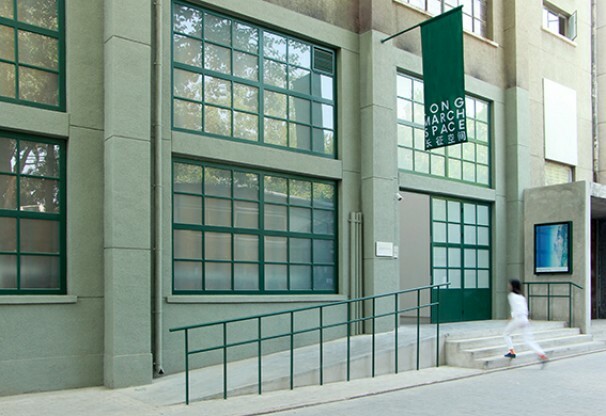 Long March Space, one of the leading contemporary art galleries in China, is located in 798 Art District inside a former factory canteen build by East German. We exposed the beauty of the original building while redesigned it for art gallery use. The façade design is a contemporary interpretation of the existing, referring to the window frames and color. Inside the building we have reconfigured the layout including gallery, office, front desk, hallway, courtyard, VIP and meeting room. By moving the entrance we created an easy route between the different areas. We enlarged the gallery to hold ambitious exhibitions, expanded the office and improved staff working environment by large windows.